I've had this idea for a Valentine's card for a while now, so I'm delighted I had the time this weekend to make my thoughts a reality. 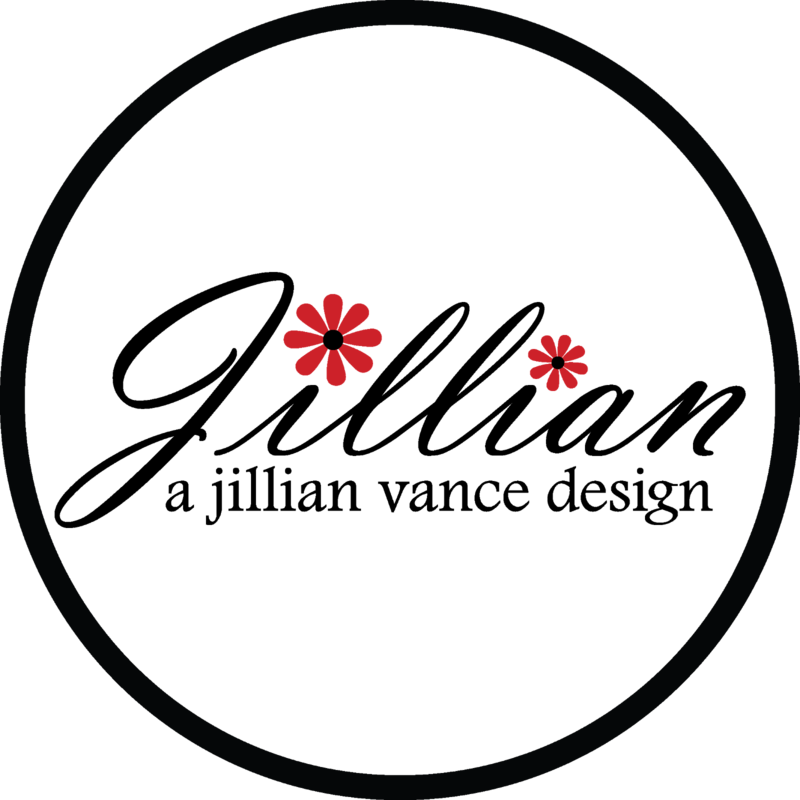 Kecia Waters on the blog today, sharing my latest Valentine card. 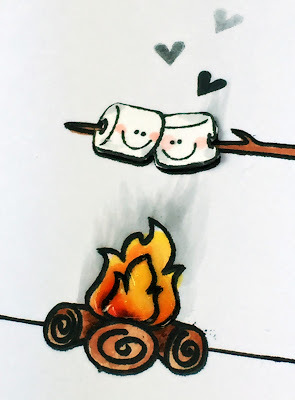 To make this card, I stamped the campfire image and the cute marshmallows on a stick image from the AJVD stamp set "Happy Trails" by Whimsie Doodles with Memento Tuxedo Black ink onto X-Press It cardstock. I colored them with Copic markers. I stamped the marshmallows again onto a scrap, and colored and fussy cut. I adhered them over the marshmallows to create a bit of a dimension. Some Glossy Accents were added to the fire. 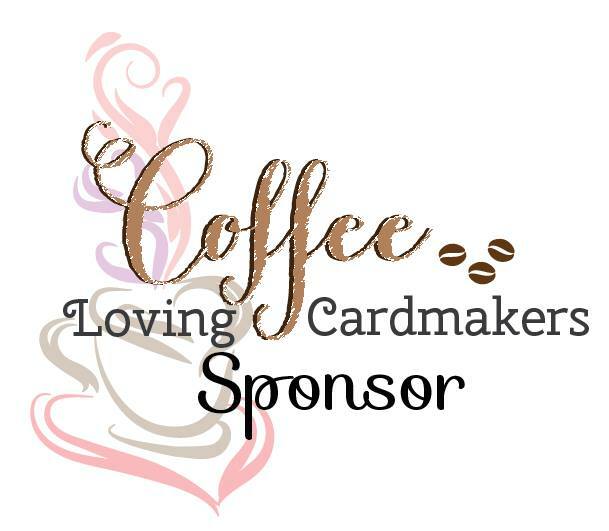 I stamped the heart image from "Simply Said: ChristMoose" three times with Versafine Onxy Black ink; using first, second and third generation stamping to get the faded smoke hearts. 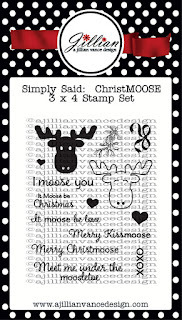 The sentiment is from the "Frosty Stamp and Die Set" and was stamped with Versafine Onyx Black. 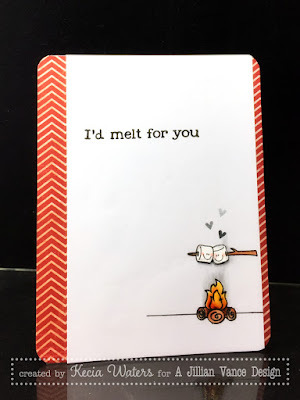 I simply stamped the "I" first, added a "d" with my own handwriting, and then stamped "melt for you". I framed the card, offset, with patterned paper from Imaginisce. 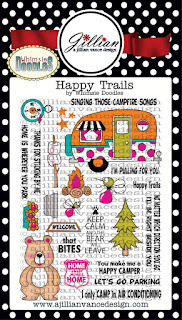 In case you didn't know, the stamp set "Happy Trails" designed by Whimsie Doodles, is retiring. Once it's gone, it's gone. Grab it while you still can, at a discounted price of $12! The set is so versatile! Thanks so much for stopping by the AJVD blog today! Love this adorable CAS card! So sweet!